He’s not been known of late for cutting stories off at the pass. But as I noted here for Golfweek/USA Today, Phil Mickelson wisely put himself out front and also talked to writers after his opening 74. The Mickelson’s employed Rick Singer’s firm, which sits at the heart of the college admissions scandal. Will Gray has a longer report for GolfChannel.com on Mickelson’s post round comments suggesting his children would disown him had he used any nefarious means to help them gain college admittance. Looks like we won’t have to wait until Tuesday’s practice round to hear if Phil Mickelson will play this year’s Players after saying he need to wait and see. I know you were worried. Phil Mickelson'’s playing a fascinating game of maybe or maybe not-playing the PGA Tour’s marquee event returning to its old March date, reports Steve DiMeglio for Golfweek. Mickelson said he’ll play a practice round Tuesday at TPC Sawgrass, home to the PGA Tour’s flagship event which he won in 2007, and go from there. Q. Finally, you nullified the scores that were posted for the few players that were out earlier this morning, first time in more than five years since it's happened on the PGA TOUR. What was the decision for that? MARK RUSSELL: We don't do that very often, but if I had it to do over again, we would have delayed the starting times. We tee off at sunrise. We have to because here a lot of times we don't finish, we have to use all the available daylight we have. We teed off at sunrise and I was on the first tee with the players and it was very marginal, thinking in my mind this is going to get better every minute. They teed off, we had their balls under control, but the visual never got better. The cloud cover's so thick that you just couldn't see. So once we did suspend play, the committee got together and just decided that we need to nullify these scores because the visual, it never got where you could see where your ball went, barely see the flagstick. And like I say, under normal circumstances it would get better every minute. It never did. As a matter of fact, it got worse, so we decided to nullify the scores. That's not a common thing, but the committee does have the discretion to do that. We felt in this situation that's the thing to do. From tee ➡️ 🏖 ➡️ 🏖 ➡️ 🏖 ➡️ 🕳. I’m less interested in Phil Mickelson’s off-season speed bump from a distance regulation perspective and more from a mentality boost he says this gives him. However, it is still an amazing leap at age 48 and back to using last year’s Rogue driver. He hit the gym to build up his strength and explosiveness, especially in the offseason. He had a biomechanics study done and looked at the kinematic sequence of his swing to pinpoint his strengths and weaknesses. He spent hours working on his putting and iron play. 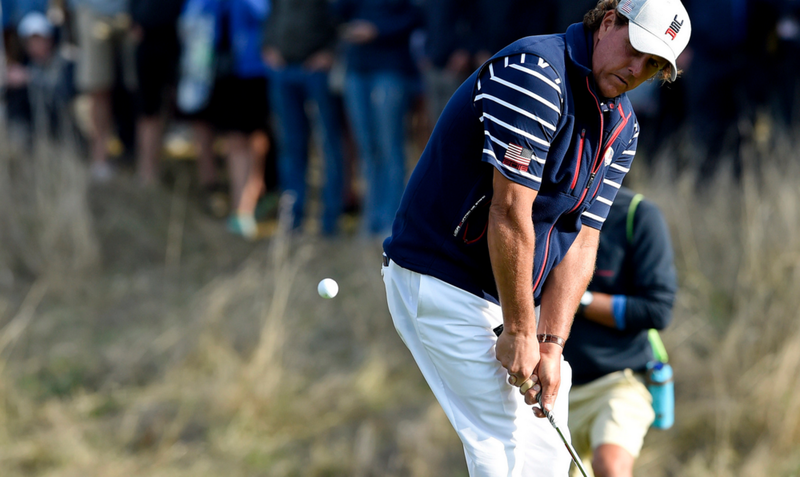 “There are a lot of things that you can do to help your body heal, recover, and get strengthened,” Mickelson said. And from Kevin Cunningham’s Golf.com item on Phil as he’s contending in the AT&T Pebble Beach Pro-Am. Of course he’s been incredibly accurate so far this week. Phil Mickelson hit all fairways in his AT&T Pebble Beach Pro-Am opener and believed that was a first. But as Steve DiMeglio notes for Golfweek, the bigger surprise was just how many times Mickelson has accomplished the feat for someone, uh, mildly accurate off the tee during his illustrious career. Well, Mickelson has done it before. Six times on the PGA Tour, in fact. But let’s cut his memory some slack. The most recent time he accomplished the feat came 21 years ago in the Farmers Insurance Open. His total recall aside, Mickelson was impressive throughout his round. His seven birdies swamped his lone bogey on the fifth hole and he stood in a tie for third place behind pacesetters Brian Gay and Scott Langley, who also played the Shore and shot 64. Mickelson also made news by adding the Genesis Open at Riviera where he’s a two-time champion. He had previously decided to skip the event but after a missed cut in Scottsdale, gives the tournament 7 of the world top 10. If you saw any of Phil Mickelson’s driver swings during the Desert Classic you know he wasn’t holding back in a blatant effort to have the shortest club possible into PGA West’s greens. The approach is an offshoot of the early 2000’s Bomb and Gouge only players are now able to carry the ball even farther off the tee thanks to optimization. Enter, launch angle golf, which I wrote about for Golfweek as the future way approach for young players at most courses. And, one 48-year-old. PHIL MICKELSON: I don't know what to say, I played okay and my goal or game plan of playing the Stadium Course is to actually hit drivers and to try to bomb it down there as close to the greens as you can. Even though the -- because the fairways are tight in a lot of areas and if I miss fairways, try to have wedges or short irons in -- and it seemed to play out okay today and I gave myself a lot of good chances. I missed a few short putts that I've been making historically now for awhile and I let a few slide, but I also made a couple of long ones that were nice little bonuses. Q. Not the best but managed your golf around this place, that's what it it's all about, just management. PHIL MICKELSON: I think it is. I think that there's some holes -- I think it's a course that you can play aggressive. I think it's a course you can hit drivers. Even though the fairways can be tight up where driver is, if you hit it long enough and you have short irons into some of these holes it's an advantage. And that's kind of the way I've been trying to play this week is rip at the driver and get some short irons in and I've been able to make a lot of birdie doing that. He lost 3.2 strokes on the greens Sunday. He missed a 4-foot putt to three-putt the first hole and also missed two putts from 5-7 feet. Ultimately this is why Mickelson is wisely skipping Torrey Pines this week, where the high rough and some of his recent numbers suggest it’s best he stay away, notes The Forecaddie. Congrats to winner Adam Long. Whoever you are. Clutch stuff! I’m going to sound old here, but there was a time that La Quinta Country Club was where Bob Hope Desert Classic scores went to die. It was the hardest of the Hope rota courses and the ones players had to survive. 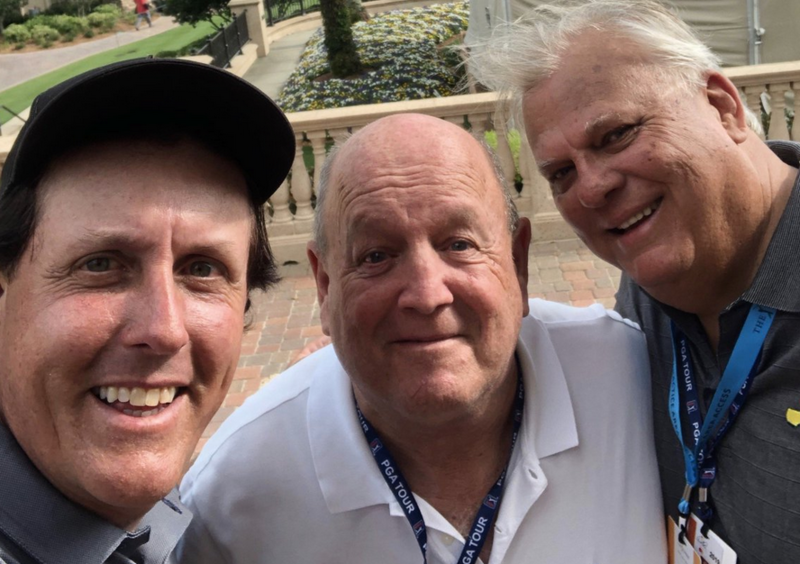 So I hiccuped when reading Ryan Lavner’s GolfChannel.com account of Phil Mickelson’s opening round, 12-under-par 60 at La Quinta CC in the 2019 Desert Classic. Mickelson again played down his chances in his 2019 debut, but it clicked so well at La Quinta Country Club – the easiest of the three courses in the rotation at the Desert Classic – that he gave himself a chance to break 60 for the first time in his Tour career. He went out in 30. Then he birdied Nos. 10, 11, 13 and 14. Then came the birdie on 16, and all of a sudden, he realized that he needed to birdie each of the last two holes to finally shoot golf’s magic number. On 17, he tried to hook a sand wedge into a tight pin and left himself 18 feet. He missed low, but still finished with a flourish: With a chance to card the third 60 in his career, he spun a wedge to 10 feet and buried the putt. At 6911 yards, La Quinta is the longest of the five Hope courses, and with lakes bordering seven of its fairways this tropical layout can be as difficult as it is beautiful. 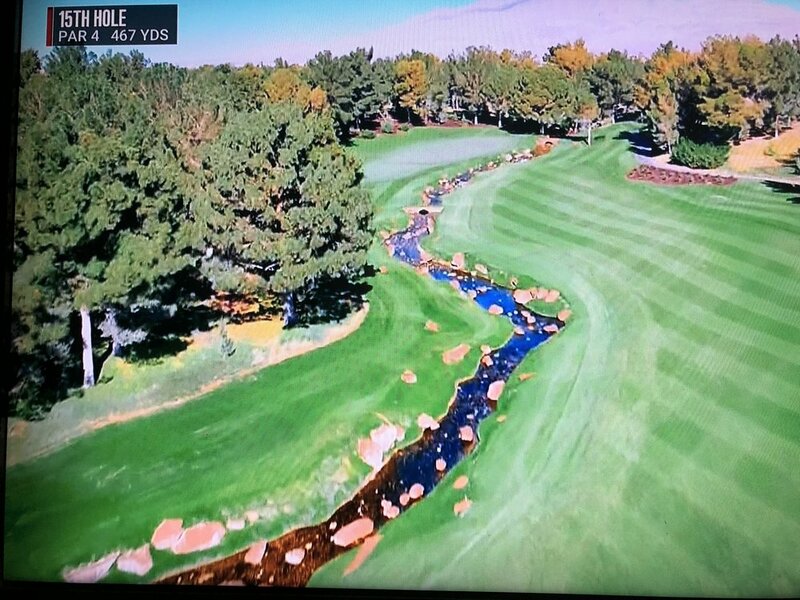 The other rota courses: Indian Wells CC, Bermuda Dunes, Tamarisk and El Dorado. I swear doesn’t seem like that long ago! As we’ve had time to mull Thanksgiving 2018’s The Match with it’s pay wall gone bad and gimme’s from a stout range, organizers are still planning on going forward with two more editions, reports Golf World’s Dave Shedloski. The good news? A partners match seems likely with Tiger and Phil either pairing up, or not. While that will prolong the day, hopefully an enticing match will be put together on a different golf course. …but knowledgeable sources told Golf World that the $9 million showdown between Tiger Woods and Phil Mickelson on Nov. 23 in Las Vegas drew nearly one million customers who paid the $19.95 fee. So nearly 1 million paid but because of pay wall issues at match time, the wall was quickly dropped, exposing organizers to returns of nearly $20 million? Charitable. Great Read: "How 'The Match' began—and where it might lead"
Golf World’s Dave Shedloski takes a deep dive into The Match and how the Tiger-Phil event came together. You’ll have to wade through some self-congratulatory stuff and mentions of activations and next-generation deals, but it’s a great read for anyone interested in the anatomy of a deal. Much higher than $10 million in rights for one day. That’s giving new meaning to loss leader! Zuriff, a golf enthusiast who was a huge fan of “The Skins Game” that used to occupy Thanksgiving weekend, is that creative type who has a million ideas running through his mind at all hours. The story ultimately confirms the “franchise” concept in play. Still comes down to the numbers. As for the hole-by-hole lines and gaming elements, those are only as fun as the cleverness of the “props”—will Tiger twirl the club after his drive—and the ability to join to contribute to the MGM bottom line. The side challenges component will all come down to the players and what they are able to pull off on the spot, but certainly seem interesting. Turner Sports’ exclusive coverage of Capital One’s The Match: Tiger vs. Phil, the blockbuster pay-per-view event featuring the iconic Tiger Woods and Phil Mickelson, will incorporate a number of innovative concepts into the live golf presentation including first-of-its-kind integrations centered on predictive data. The match will take place Friday, Nov. 23, at Noon PT / 3 p.m. ET with a suggested retail price of $19.99. The broadcast will include real-time, hole-by-hole statistics that will be displayed on screen to forecast the probability of certain outcomes during the match. The data is based on a model and algorithm that combines ShotLink Intelligence with characteristics of Shadow Creek to calculate the likelihood of various scenarios to occur. Separately, after a hole has concluded, the broadcast will integrate a proprietary data stream provided by the MGM Resorts Race & Sports Books – in association with the MGM/GVC Interactive Gaming Joint Venture – to deliver odds, moneyline and other information associated with the golfers’ performance. Both Woods and Mickelson will selectively make side challenges against one another during the live competition. For instance, Woods or Mickelson could raise the stakes by challenging the other to get closest-to-the-pin; whether one of them can make a crucial putt from 10-feet away; the chances of getting “up-and-down” from a certain location on the course or similar competition during a hole as they play their match, with money being donated to the winning golfer’s charity of choice. A variety of super slo-mo cameras to provide more defined coverage of specialty shots on the course. As previously announced, Capital One’s The Match: Tiger vs. Phil will be available on PPV through Turner’s B/R Live (available now for purchase), AT&T’s DIRECTV and AT&T U-verse. The PPV event will be distributed to other cable, satellite and telco operators including Comcast, Charter, Cox, Verizon and Altice in the U.S. and Rogers, Shaw and Bell in Canada through In Demand and Vubiquity (an Amdocs Company). AT&T is the official 4K sponsor of The Match, which will also be broadcast in 4K High Dynamic Range (HDR) on DIRECTV channel 106 for $29.99*. Turner International will facilitate the distribution of live PPV access outside the U.S. and Canada. Turner’s TNT will also televise programming with select content from the event a week following the live competition. The media rights agreement with Turner was completed in partnership between CAA Sports, Excel Sports Management and Lagardère Sports. Excel and Lagardère Sports, who represent Woods and Mickelson respectively, are also the event organizers for The Match. 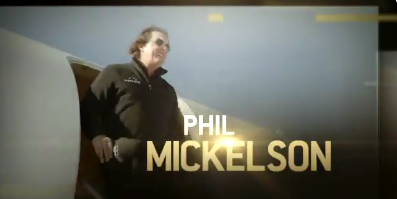 While I could swear that’s Miguel Angel Jimenez getting off the plane, we’ll take HBO’s word and accept this early “24/7” footage of Phil Mickelson and Tiger Woods. The show is part of the buildup to November’s The Match. Step inside one of the greatest rivalries in sports before their winner-takes-all event. Not only did he shed the Fonzie leather jacket and work in some product to calm down the increasingly distracting mullet, but Phil Mickelson turned in a masterful performance promoting The Match during TNT’s always fun Inside The NBA. I was ready to sign up by the end! The Match: "Suggested Retail Price Of $19.99"
WarnerMedia announced the “pricing and distribution partnerships” for their Tiger Woods vs. Phil Mickelson match, the first ever pay-per-view golf event. Capital One cardholders get 25% off. We’ll never know how many are sold, but I’m having a hard time seeing huge sales at that price given the general hostility exhibited by the golf audience at having to pay for the first time. Then again, it’s the day after Thanksgiving and reality may set in that there is nothing else on television worth watching! WarnerMedia’s Turner will present Capital One’s The Match: Tiger vs. Phil, a highly-anticipated, head-to-head match play competition between golf icons Tiger Woods and Phil Mickelson on Friday, Nov. 23, beginning at high noon PT (3 p.m. ET). The pay-per-view event, hosted by MGM Resorts International at Shadow Creek in Las Vegas, will be widely distributed on PPV with a suggested retail price of $19.99. Capital One’s The Match: Tiger vs. Phil will be available on PPV through Turner’s B/R Live, AT&T’s DIRECTV and AT&T U-verse. The PPV will be distributed to other cable, satellite and telco operators including Comcast, Charter, Cox, Verizon and Altice in the U.S. and Rogers, Shaw and Bell in Canada through In Demand and Vubiquity (an Amdocs Company). Turner International will facilitate the distribution of live PPV access outside the U.S. and Canada. Turner Sports is producing all live event coverage while also serving as the exclusive sales and sponsorship partner, in conjunction with Excel Sports Management and Lagardère Sports. As title sponsor, Capital One will collaborate with Turner Sports and Turner Ignite Sports on a number of digital and broadcast integrations leading up to and during the live pay-per-view event and will have cardholder access opportunities for the event as well. Details will be released leading up to the event on how Capital One cardholders may receive a one-time discount for 25% off B/R Live. Additionally, Capital One is the official bank and credit card of Capital One’s The Match: Tiger vs. Phil, as well as the preferred payment card on B/R Live. B/R Live, Turner’s new premium live sports streaming service, will offer the most direct access to purchase the PPV event across any digital platform. B/R Live is available at https://live.bleacherreport.com; by downloading the B/R Live app through iTunes or Google Play; and/or via Apple TV, the Roku platform and Amazon Fire TV. As previously announced, the winner of this blockbuster, winner-take-all showdown between two golf legends will walk away with $9 million. During the live event competition, both Woods and Mickelson will selectively make side challenges against one another. For instance, Woods or Mickelson could raise the stakes by challenging the other to a long-drive, closest-to-the-pin or similar competition during a hole as they play their match, with money being donated to the winning golfer’s charity of choice. Turner Sports and its Turner Ignite Sports is simultaneously working closely with additional marketing partners to elevate their brands within this once-in-a-lifetime opportunity, tapping into award-winning live events, experiential and creative marketing solutions. As associate sponsor, Audi will serve as the official automotive partner for Capital One’s The Match: Tiger vs. Phil. Along with having on-air and on-course signage, the auto brand will host the Audi Driving Range and will have a variety of vehicles on display for attendees. AT&T is also sponsoring the event, serving as the official wireless and data services partner and will present drone course coverage for the first time at Shadow Creek. The media rights agreement with Turner was completed in partnership between CAA Sports, Excel Sports Management and Lagardère Sports. Excel and Lagardère Sports, who represent Woods and Mickelson respectively, are also the event organizers for The Match. Broadcast talent and other event specifics for Capital One’s The Match: Tiger vs. Phil will be announced in the coming weeks.